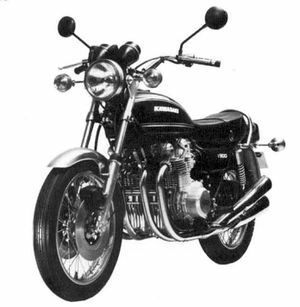 The Kawasaki KZ900A was a 900cc four cylinder, four stroke street motorcycle manufactured by Kawasaki from 1976 through 1977. 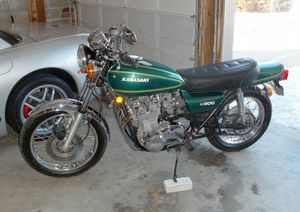 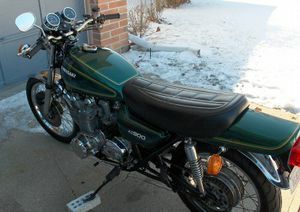 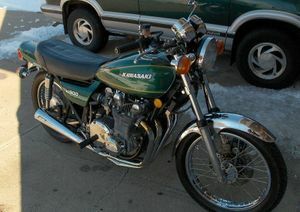 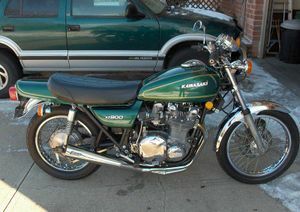 Previously known as the Kawasaki Z1 SERIES 900. 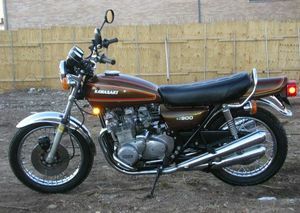 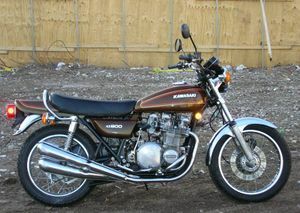 In 1976 The model designation was changed to KZ900A starting with the A-4 model. 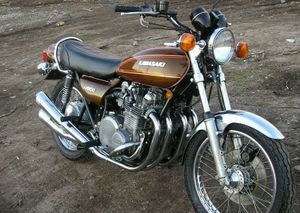 It was also the last year it was produced. 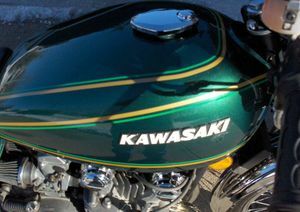 Kind of odd to change the model name on the last year of production, but Kawasaki had been changing their model names across the whole lineup. 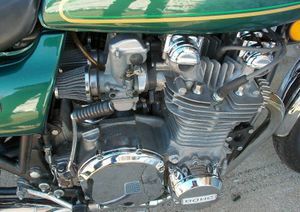 Major Changes: Color, marking, fuel tank, and carburetors. 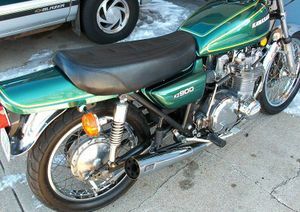 Audible turn signals, four-way flashers, and three-fuse system adopted. 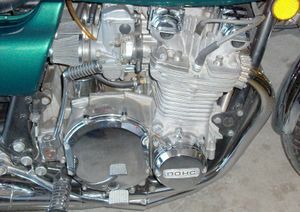 The "Z900" has dual-disc brake up front. 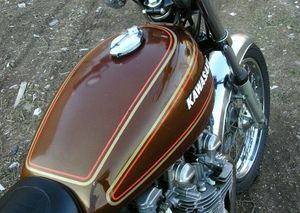 This page was last edited on 22 December 2010, at 03:10.